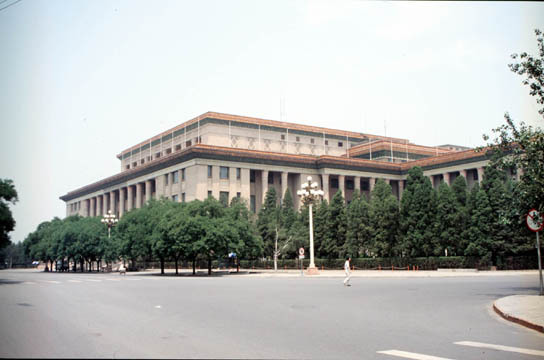 The Great Hall of the People was built in 10 months in 1959 on the western side of Tiananmen Square. It has a total floor space of more than 170,000 sq meters. It comprises of 300 meeting halls, lounges and office rooms and has a seating capacity of just over 10,000 which is why it is known as the ten-thousand-people's meeting hall. Each of the meeting halls is named after a province, a municipality, or an autonomous region and is furnished after the local style of its namesake.